Viknesh Vijayenthiran March 28, 2019 Comment Now! 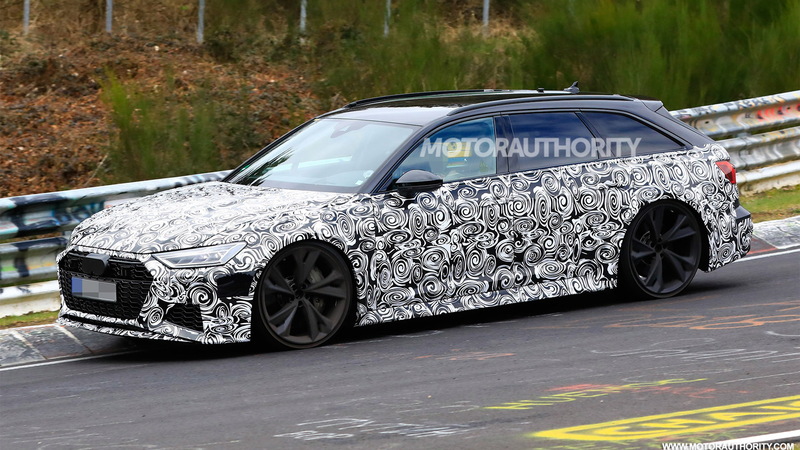 Our latest spy shots and video show a prototype for the super wagon testing hard at the Nürburgring. Earlier shots showed a test mule. 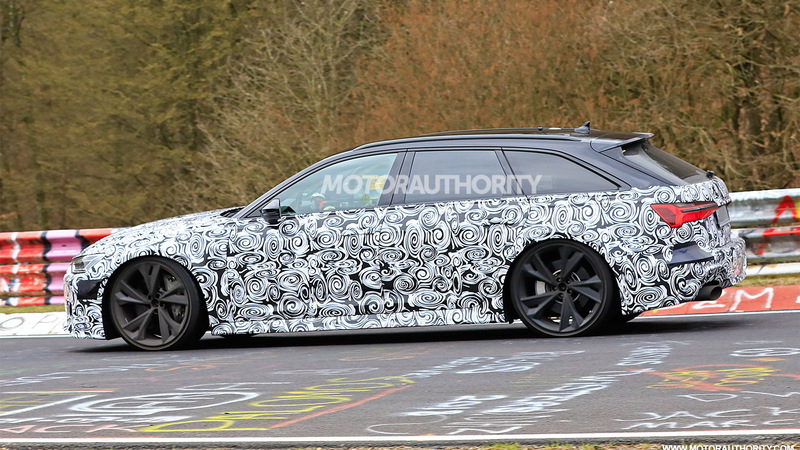 You can tell this is the RS 6 Avant because of the aggressive front fascia with enlarged intakes, the huge wheels housing carbon-ceramic brake rotors, and the signature Audi Sport oval-shaped exhausts. There are also fender flares to house a wider track. 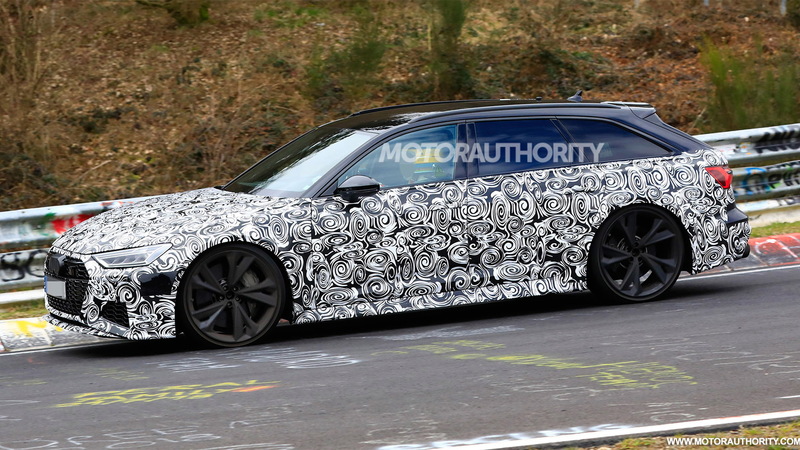 2020 Audi RS 6 Avant spy video from Motor Authority on Vimeo. As with the current RS 6 Avant, the new generation should be offered in regular RS 6 and extreme RS 6 Performance guises. The regular model is expected to come with 650 horsepower, up from 605 hp in the current car. This will be generated by Volkswagen Group’s latest 4.0-liter twin-turbocharged V-8. For the RS 6 Performance, it’s thought output could reach as high as 700 hp thanks to the addition of an electric motor. The plug-in hybrid system would essentially be the one in the Porsche Panamera Turbo S E-Hybrid, which in the Porsche produces 680 hp from a 4.0-liter twin-turbo V-8 engine supplemented by an electric motor. Regardless of the model, drive should be to all four wheels via an 8-speed automatic and all-wheel-drive system. Both models should also deliver 0-60 mph times approaching the 3.0-second mark. The RS 6 Avant is a Motor Authority favorite because of its supercar-rivaling performance coupled with a practical load space (the newest A6 Avant has close to 60 cubic feet with the rear seats folded). Sadly, we won't see the RS 6 Avant in the United States as Audi doesn't offer any A6 Avant models locally. The situation may change in the future, however. 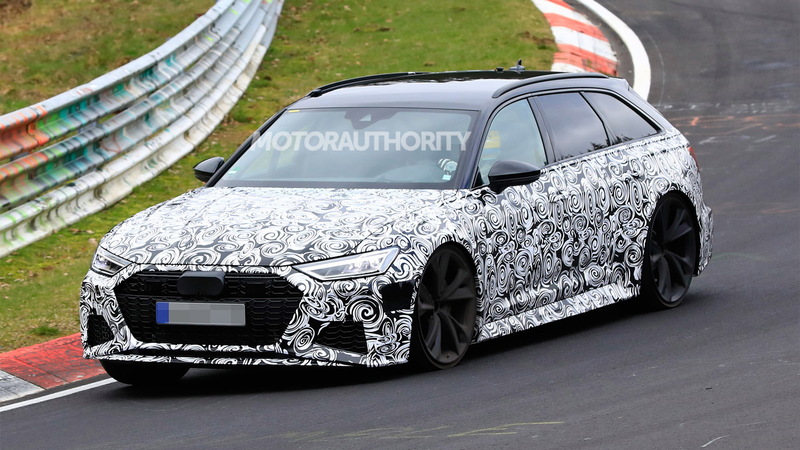 While the U.S. misses out for now, the same mechancial package will be offered in a new generation of the RS 7 Sportback that's also in the works. 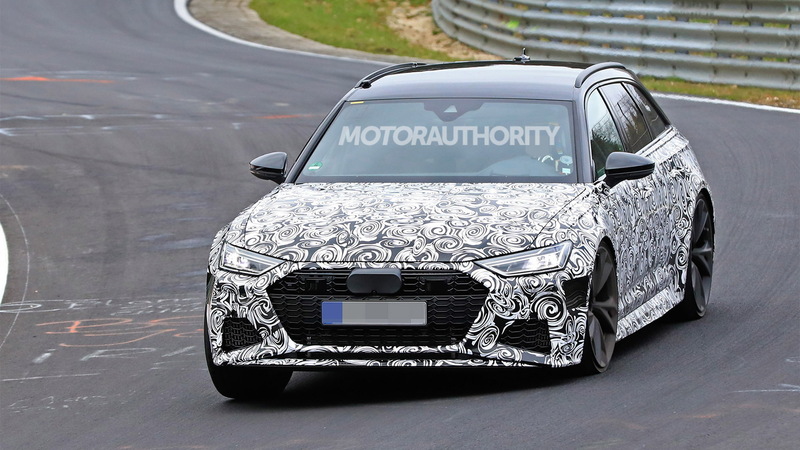 Both Audi Sport models are expected to debut in late 2019 or early 2020.